Dr. Larry Thompson, Stanford University, and Irene Rivera-Valverde, family caregiver, help you to explore the strategies on communicating with family, doctors, and friends about the care of your loved one, and show aspects of verbal and non-verbal communication when dealing with people with memory problems. Heather McKay, dementia care specialist and Teepa Snow, dementia care and education specialist, also give comments and tips for effective communication. 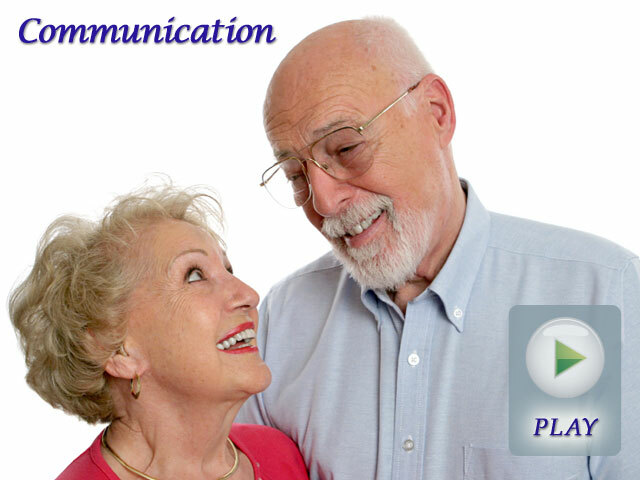 This section provides some useful tips and examples of how to help your loved one to communicate their needs. If it's done properly, effective communication may smooth out interactions and minimize stress for everyone.